Ernest Chang At The Stallery. 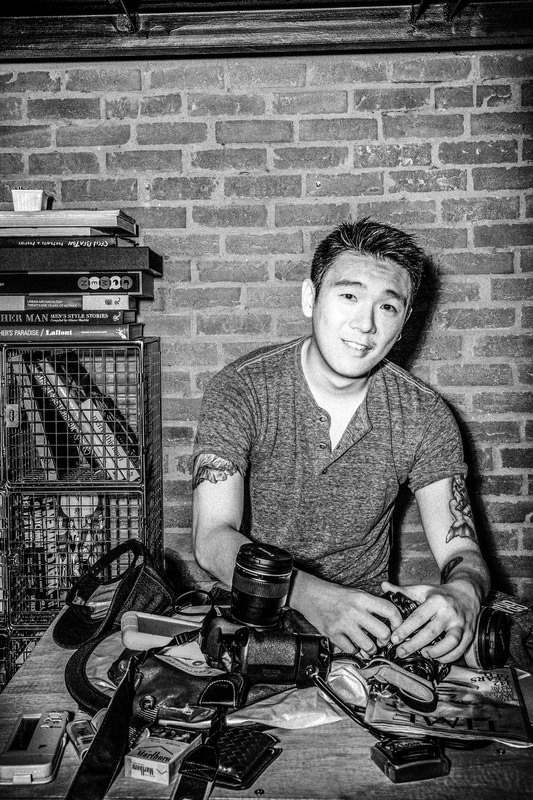 2015 Jan.
Director Ernest Chang is a photographer with a unique perspective that is deeply intertwined with his artistic and personal identity. His red-green colorblindness infuses his portraits with heightened color contrasts and contours that make his sitters appear at once genuine and larger than life. Ernest started out as a photographer and graphic designer before founding the Stallery. He believes art must be experienced, so he left art school to educate himself about the world visually and viscerally with his eyes, body and mind. This sensory learning process sparked his interest in investigating the impact of technology on contemporary society as technology becomes ever more personal and interpersonal. His belief in science and technology is manifest in his practice through his use of cutting-edge visual media and futuristic compositional elements. Ernest’s earliest attempts at portraiture showed him how happy his photographs could make others if he captured their most genuine and authentic side. He believes that everyone’s physical features are unique, awaiting a discerning eye to weave them into a personal narrative. Please contact info@thestallery.com to learn more about purchasing or other enquiries. Follow Ernest Chang On Instagram By Clicking Here!